The skis we use to slalom and luge were invented by Swedish farmers. We have Germany to thank for the 17th-century tradition of stuffing evergreen trees into our homes. The Chinese New Year parades its way from Singapore to Sydney to Paris. Christmas hails from the West Bank. Kwanzaa was created in California and attributes its principles to East Africa. And the latkes of Hanukkah are actually an adaptation of ricotta cheese pancakes that a 14th-century rabbi fell in love with in Italy. It seems the best winter celebrations have always been global. 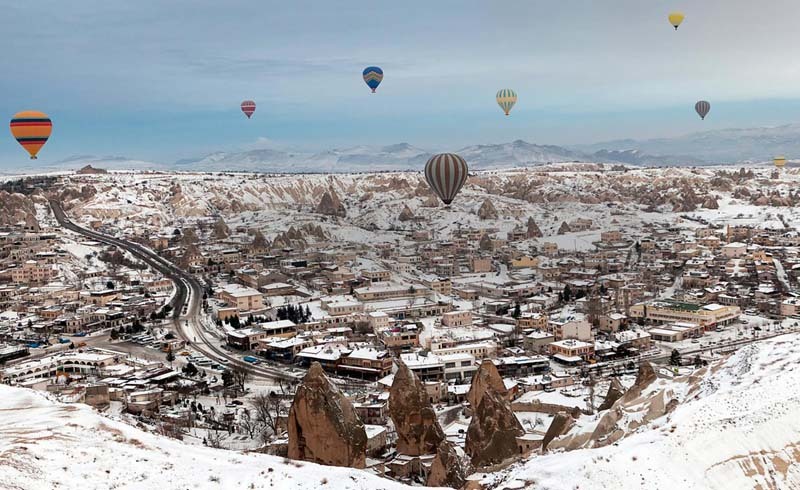 From Caribbean sands to Canadian slopes, here are ten spots around the world worth a winter trip. 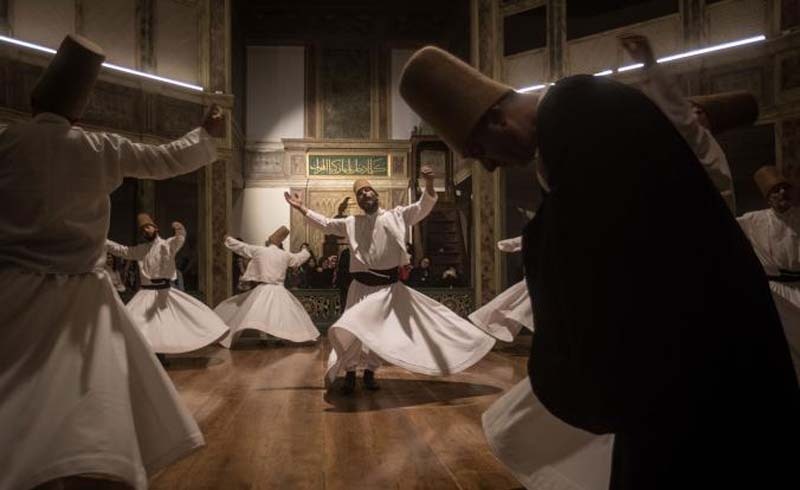 Every December, poetry-lovers and dignitaries alike gather to commemorate the death of Rumi, the 13th-century Persian poet who founded the mystical Sufi sect of Islam—a group which includes the storied Whirling Dervishes. Dancers arrive in conical camel-colored hats (symbolizing the tombstone of the ego), and when the sema dance begins, they remove their black overcoats to reveal billowing white skirts, a symbol of casting off the dark material world in order to turn loose one’s attention to God. The ceremony takes place twice daily at the mystic Sufi poet’s tomb, now also the site of the Mevlâna Museum. Before it was translated to “Silent Night,” the world-famous Christmas carol was “Stille Nacht!” a lyric penned by Austrian priest Joseph Mohr, composed by Franz Xaver Gruber, and first performed on Christmas Eve of 1818 at St. Nicholas’ Church just north of Salzburg, Austria. This winter, Salzburg is celebrating Silent Night’s 200th anniversary with tours, theater productions, and a historical exhibition of the original song manuscripts at the Salzburg Museum. Visit Joseph Mohr’s Steingasse birthplace and Salzburg Cathedral’s bronze lion-footed baptismal font where both Mohr and Mozart were baptized. 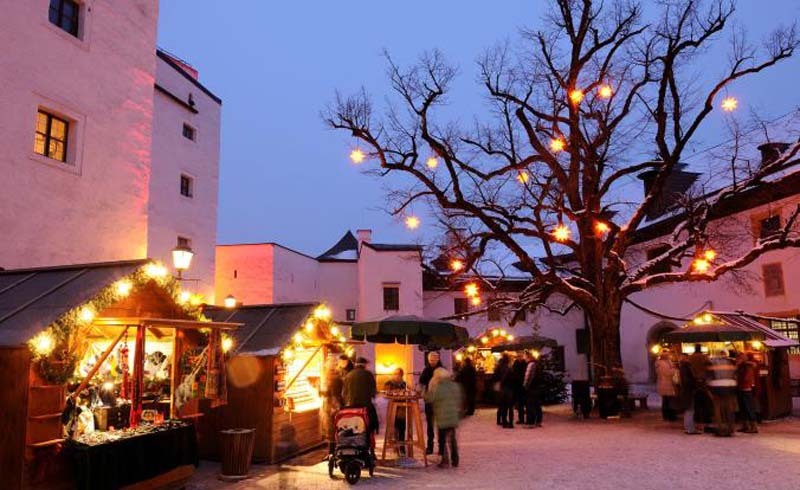 Then exit onto Cathedral Square for mulled wine, soft pretzels, and 100 booths of ornaments and hand-painted eggs at Salzburg’s romantic 527-year-old Christkindlmarkt. 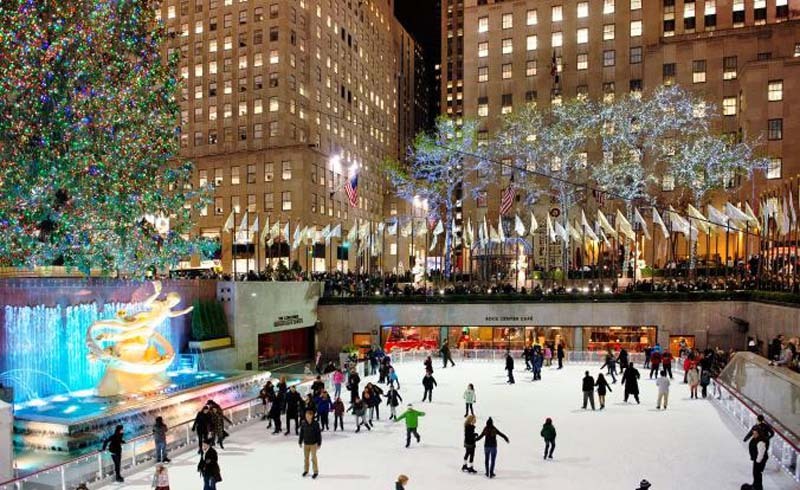 There's really only one place where you can take the kids to bake cookies for Christmas, Hanukkah, Kwanzaa, and Lunar New Year all at once; then see the Nutcracker; then take an ice-skating class with a two-time Olympian beneath a 72-foot-tall, 12-ton Norway spruce Christmas tree. Stroll past NYC’s candy-crammed Fifth Avenue Christmas windows, visit the world’s largest menorah, sip pink hot chocolate, or order a Scroogin’ for a Bruisin’ cocktail from one of many pop-up holiday bars. Sneak a peek at Hudson Yards' newest arts center, The Shed. Wind through a Christmas tree maze at Brooklyn Museum’s admission-free Winterfest. Snag sufganiyot from Underwest Donuts. Then take in the Statue of Liberty fireworks on a NYE champagne harbor cruise. The moon dictates the colorful winter events on this small, tropical island: Residents celebrate the Chinese Lunar New Year in February, and the year's last lunar quarter (around early December) sees 50 million Christmas Island red crabs swarm to the sea to spawn. On Christmas Day of 1643, Captain William Mynors sailed past this tropical island 224 miles south of Java and named it, of course, “Christmas.” Comprised of rainforest, sand beaches, coral reefs, and one oceanic mountain, two thirds of this 52-square-mile isle is a national park, home to endemic geckos, pipistrelles, flying foxes, endangered seabirds, sea turtles, and the largest population of the world’s biggest land invertebrate—the colossal, Amelia-Earhart-eating coconut crab. 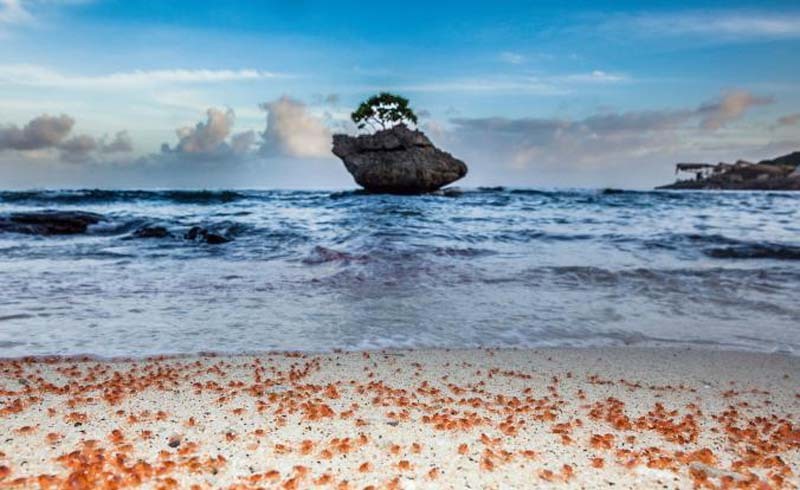 Christmas Island’s most colorful events of the year are dictated by the moon: Many of the 2,000 residents celebrate the Chinese Lunar New Year every February, and during the year’s last lunar quarter, over 50 million Christmas Island red crabs scuttle to the sea to spawn. 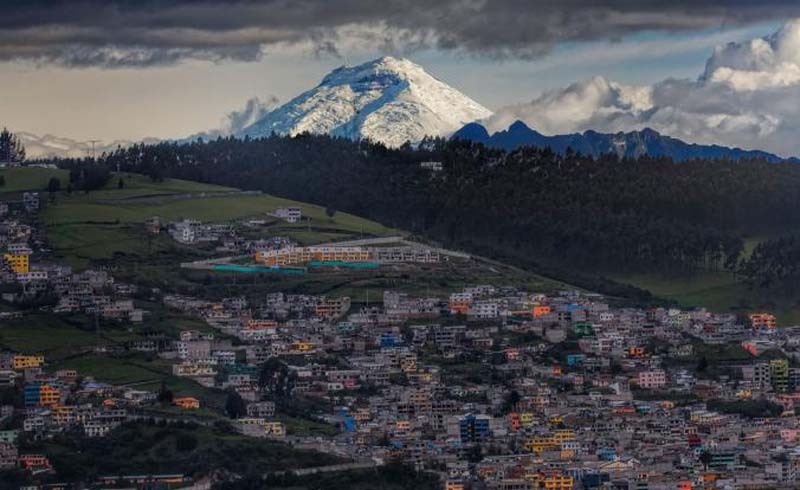 Snowcapped Cotopaxi overlooks Quito, where celebrations of the new year include the symbolic burning of scarecrow-style effigies called los años viejos (the old years) in the guise of celebrities and politicians. In Quito, the weather is almost always in the 60s, the sun almost always sets at six, and the new year is almost always celebrated with los años viejos, or “the old years.” Locals set aflame these scarecrow-style effigies of celebrities and politicians to burn away the old and make room for the new. The second biggest city in Ecuador and the second highest capital in the world, Quito makes a convenient access point to the Amazon rainforest, the thrill-seekers’ paradise of Baños, and the Galápagos Islands. In only three hours, travelers can zip from the best-preserved historical city center in Latin America to the land of giant tortoises, lava lizards, and blue-footed boobies. Plus, if winter is the season for hot chocolate, then shouldn’t you be drinking it at the source? Unmatched archaeological sites, glamorous beaches, and rich cuisine make Tunisia a great spot to escape the winter blues. Just across the Mediterranean from Italy, Tunisia is a highly diverse North African country with glamorous beach resorts and unmatchable archaeological sites. The country’s layered history of Phoenician, Roman, Arab, Turkish, and French rule is reflected in its food with dishes like harissa-smeared baguette sandwiches, mint tea topped with pine nuts, and gris de Tunisie, a popular “grey” Tunisian rosé. 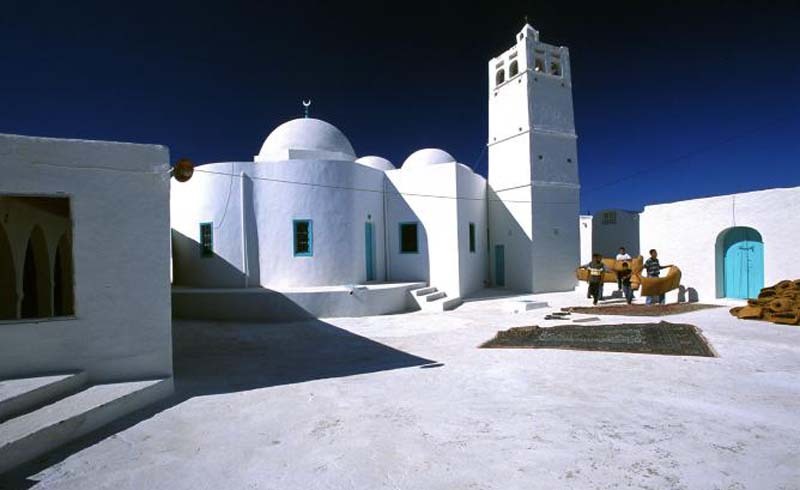 Tour street art by bike and visit the Ghriba synagogue on the island of Djerba. Or opt for a rose-oil massage after relaxing in the hammam steam room and thermal spring pool at the Dar Hi Life ecolodge in Nefta. One of the simplest ways to boost the beloved island's post-hurricane recovery is to visit. 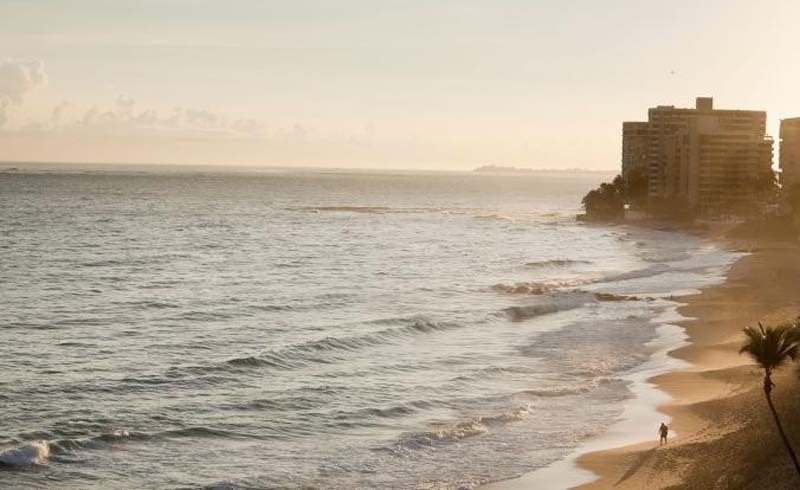 From community service projects to eco-yoga retreats, take the winter months to enjoy the best the Caribbean spot has to offer. As Chef José Andrés has demonstrated, one of the simplest ways to boost Puerto Rico’s post-hurricane economy is simply to visit. San Juan airport is running on schedule and many newly improved hotels and attractions have reopened. Join a community service project. Book an eco-yoga New Year's Eve retreat. Or enjoy a relaxing stay at a boutique hotel like the Dreamcatcher, purposefully situated, according to co-owner Stephan Watts, in San Juan’s last remaining beach neighborhood where “buildings are under 30 feet tall, vehicles are restricted, and guests can follow a hand-drawn map to beaches and local businesses all within walking distance.” The hotel features boho-chic rooms; private outdoor showers; small-group, off-the-beaten-path hiking excursions; starlight yoga; and a locally-sourced, all-vegetarian menu of dishes like papaya-topped pancakes and hibiscus flower juice—a delicious way to start the new year healthy. November through April is the best season to visit this watery paradise, which protects its massive marine reserves by requiring every visitor to sign a good environmental steward pledge before arrival. 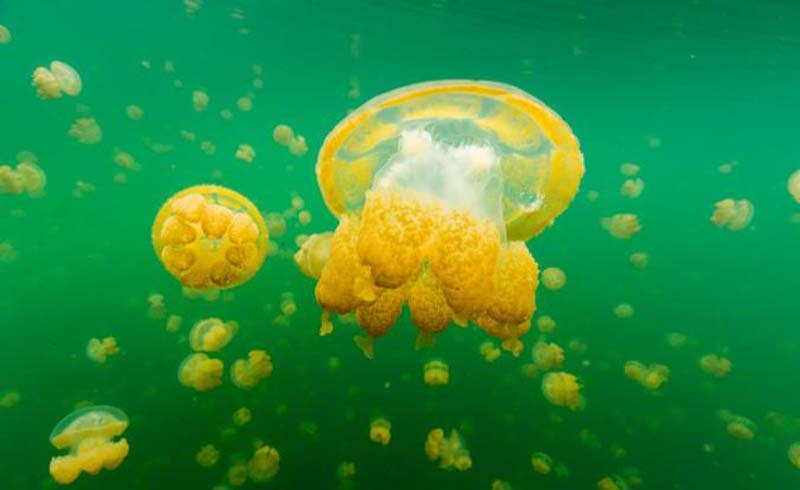 Over five hundred miles east of the Philippines, Palau’s 340 coral and volcanic islands boast one of the largest marine reserves on the planet, encompassing coral reefs, golden Jellyfish Lake, and some of the world’s most stunning scuba diving sites. The preservation of this watery paradise, best visited November through April, is no happenstance. Palauans have practiced the custom of bul for generations, rotating fishing areas to prevent ecological damage. And in 2018, Palau banned all reef-damaging sunscreens and instituted the Palau Pledge—requiring every traveler to sign a good environmental steward pledge in their passport before being allowed to enter the republic. 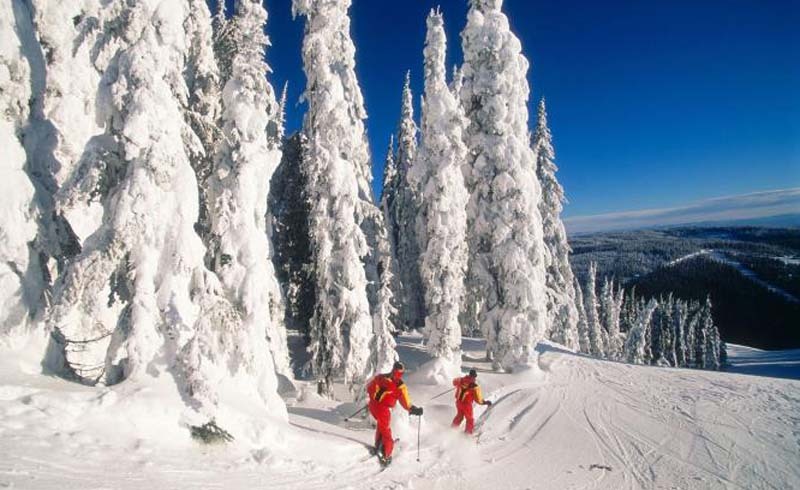 British Columbia's Sun Peaks is Canada's second largest ski area, offering skiing of all kinds—plus nearby showshoeing, dogsledding, and storm-watching. Snowshoeing, dogsledding, storm-watching, and the illuminated Capilano Suspension Bridge all make British Columbia a favorite winter destination. 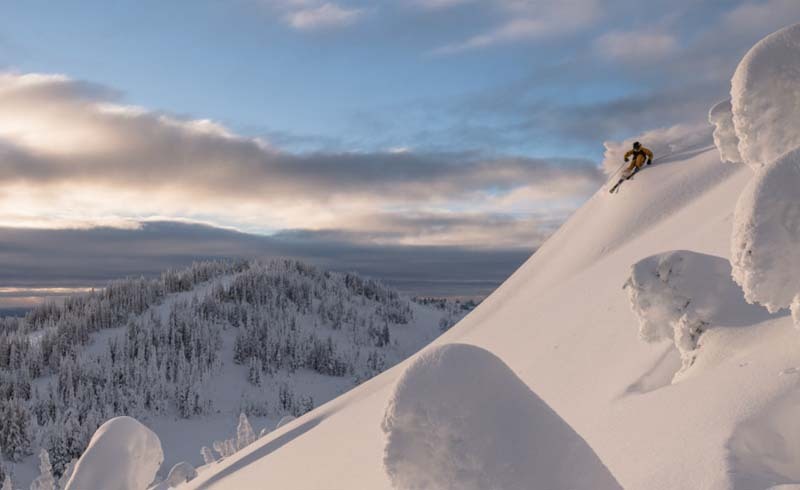 But if you’re planning on skiing, ski-biking, or snow-limo-riding—avoid the long lift lines at Whistler and head for Sun Peaks, Canada’s second largest ski area, where three powdery peaks and 4,270 acres of skiable terrain lead down to one central village. 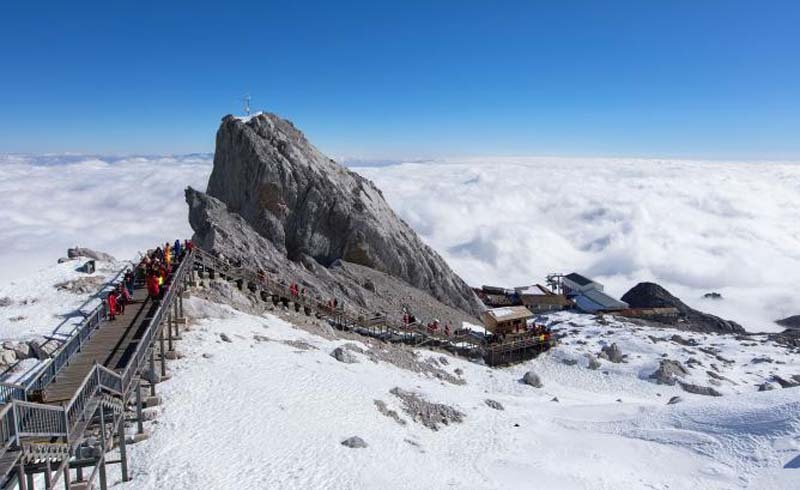 Jade Dragon Snow Mountain is China's highest ski resort; winter trips to the picturesque region promise mild, dry, sunny weather. Bordered by Tibet, Myanmar, Laos, and Vietnam, the southwest Chinese province of Yunnan is a largely undeveloped region of snowy mountains, quiet freshwater lakes, and a rich cultural history representing 25 different ethnic groups. A winter trip to the area promises mild, dry, sunny weather—excellent conditions for skiing the trails of China’s highest ski resort, Jade Dragon Snow Mountain. Home to an abundance of wildlife and 400 types of trees, the 13-peak mountain is located about 10 miles from the UNESCO World Heritage Old Town of Lijiang, an important center for the fascinating Naxi people whose 1,000-year-old Dongba script is the only living pictographic writing system in the world today.